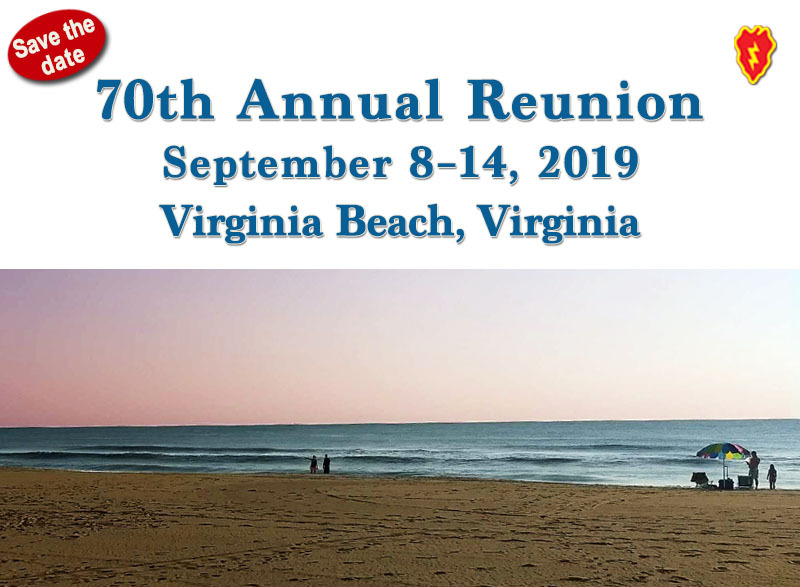 Veterans of the 12th Evac Hospital in Cu Chi will be joining us at our Virginia Beach Reunion on 8-14 September 2019. Our 12th Evac doctors, nurses, technicians, other specialists and administrative staff who patched our wounds, saved our lives and mourned our fallen who were brought to them, will be among the Veterans who will gather as a family in Virginia Beach. Were you or a friend patched up at the 12th Evac? If so, be sure to say “thanks” and give a hearty handshake to welcome them to the brotherhood and sisterhood of Tropic Lightning Veterans who gather for our 70th Annual Reunion. Morning tour includes First Landing Cross at Cape Henry, Old Cape Henry Lighthouse and Military Aviation Museum with box lunch included. Norfolk City Tour, MacArthur Memorial and Museum followed by Spirit of Norfolk luncheon cruise. The forms and reunion details we put on our site are in Adobe Acrobat format and require the free reader to view or print them. If you don’t have this piece of software, visit the Adobe website and download it.